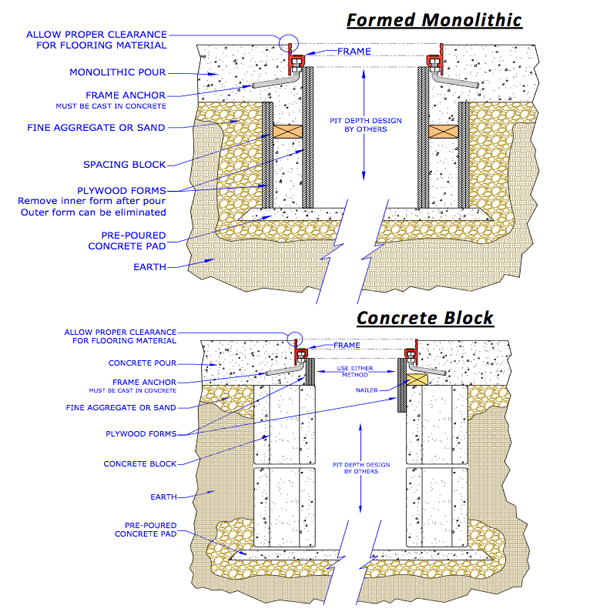 The RigidCast Frame and cover is a straight forward designed frame that cast directly into a poured floor or can be utilized with field designed and built enclosure. Its an ideal unit to allows access to refrigeration, electrical, plumbing, pump and many other mechanicals. Its unitized construction provides for a One Step installation that’s fast and easy. Securing anchors provides support to the frame for a more secure cover loading. The aluminum finish will prove to be attractive and maintenance free for year ahead. 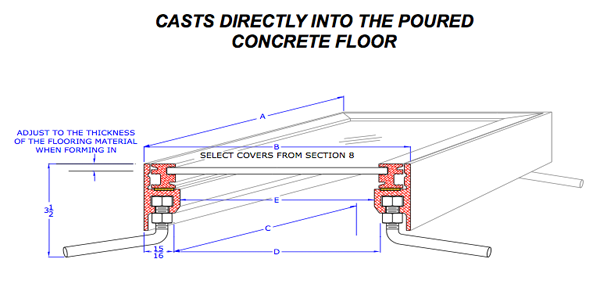 Covers can be selected from the numerous variety of sizes, materials, styles and offsets. 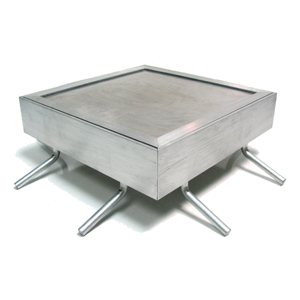 Available in steel or lightweight aluminum and then finished to match any type floor covering. Manufactured sizes show. Custom sizes also available. Width or Length of Aluminum Frame "A" or "B"
Width or Length of Inside Wall of Field Form Pit - "C" or "D"
10" 15-15/16" 21-7/8" 27-13/16" 33-3/4" 39-11/16"
47-5/8" 51-9/16" 57-1/2" 63-7/16" 69-3/8" 75-5/16" 81-1/4" 87-3/16" 93-1/8"